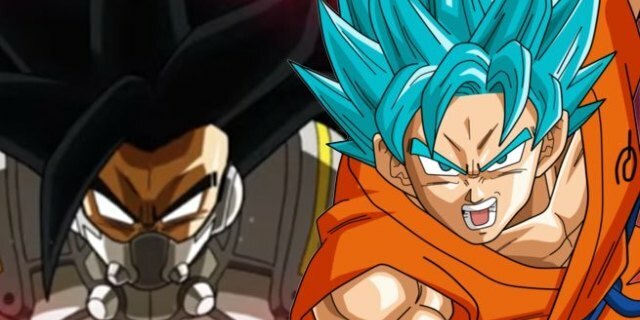 Dragon Ball Finally Revealed The Evil Saiyan’s Name! Currently, the upcoming Dragon Ball anime is the whole buzz of the town. As I told you guys recently, this anime is going to be following the Prison Planet Arc of the Super Dragon Ball Heroes video game. It is going to feature Goku, Vegeta, Trunks, Mai, Fu and the Evil Saiyan. This Evil Saiyan was one of the reason for all the hype recently. It’s been a very long time ever since we have gotten a pure blooded ‘real’ evil saiyan since Broly. The name of this saiyan wasn’t revealed but it was told that this saiyan is extremely powerful, powerful enough to make Goku go Super Saiyan Blue right off the bat. Well, the mystery is over now as we know the name now and we are here to share it with you. 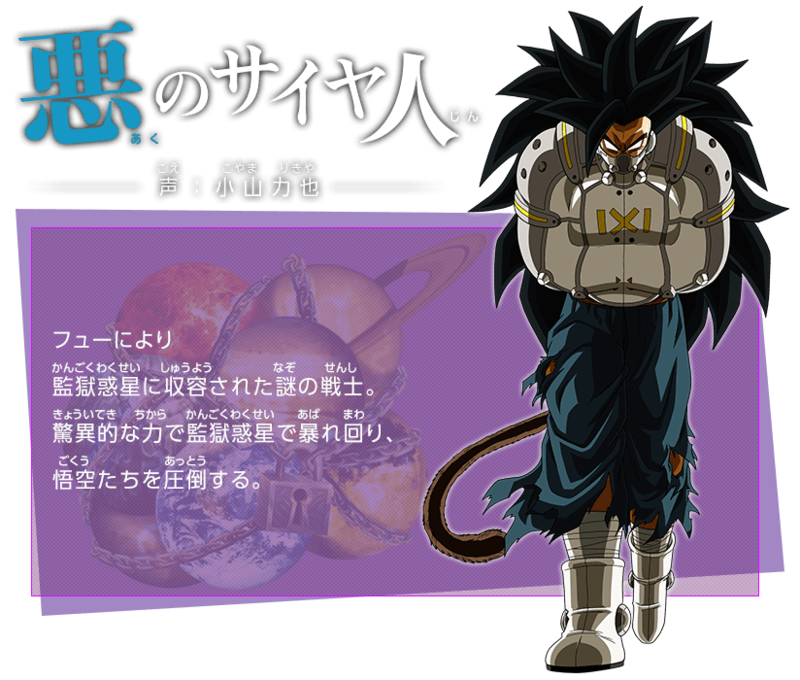 The brand new Saiyan, who was known as “Aku no Saiyajin” before, was finally named as “Kamba”. Thanks to the translation provided by the twitter user DBReduxTDC, we know that Kamba is translated to “Cucumber”, a reiteration of a silly tradition to name pure-blooded Saiyans inspired with vegetable names. Now this should also clear the suspicion whether the new saiyan is pure blooded or not. As he’s gotten a proper name, it’s going to be an important character for the future as well. After all, the word Saiyan is a play in the Japanese word “Yasai” which means Vegetables. Obviously, the series is not canon so this saiyan is also not canon just like Broly but what do we know? Maybe they introduce something similar in the new Dragon Ball Super series? Kamba was restrained in a metal straitjacket with ‘ IXI ‘ engraved on it. According to sources, he is a hot-tempered fighter and will rush to fight anyone. He is going to be the main antagonist alongside Fu in the upcoming Dragon Ball anime. Even Goku and Vegeta will face difficulties while fighting and restraining him. This just shows how powerful this Saiyan is compared to your average fighter. If you think a bit, doesn’t that make Fu even stronger? Why, you ask? Because he’s the one who summoned him and restrained him on the Prison Planet. Dragon Ball Super: Broly Has Been Officially Released In The United States! Dragon Ball Super: Broly Just Released A Brand New Trailer! Watch It Here Right Now! Next story Could Shanks Possibly Be A [Spoiler]?! Previous story New Dragon Ball Anime Reveals New Dragon Balls & Planets!